John is Practice Principal of Active Rehabilitation Physiotherapy and the Mars Clinic. He graduated with a Bachelor of Science (Hons) from the University of Queensland in 1979 and a Bachelor of Physiotherapy in April 1983. Following post graduate studies in Sports Physiotherapy, he was awarded the title of APA Sports Physiotherapist in 1999. With extensive experience in knee and shoulder rehabilitation, John regularly lectures undergraduate and post graduate physiotherapists in these special interest areas. For many years he has run partnered clinics in collaboration with some of Brisbane’s top Medical Specialists. John has a strong commitment to giving back to the Physiotherapy profession. He has been a Physiotherapy Practice Surveyor for Quality in Practice. He sits on the University of Queensland Physiotherapy Department Curriculum Consultative Committee, Chairs the Sports Physiotherapy Australia Queensland Branch Committee and has chaired the Mater Private Hospital Allied Health Committee since 1999. John is passionate about the philosophy of an Active Approach to physiotherapy. This approach is evident in his treatment, the practice environments, all with fully equipped gymnasiums and in the selection and management of his physiotherapy team. Employing a large team of Physiotherapists with their various areas of special interest and skill, John’s philosophy on management of his team has always been to build career pathways and support his Physiotherapy team in further developing their areas of special interest and skill in the world of private practice. In consultation with Specialist Paediatric Urologists, who highlighted the strong community need for the Physiotherapy management of Continence, John and his team developed the Mars Clinic for management of children’s bladder and bowel conditions. Having run one of the largest Private Accredited Physiotherapy Practices in Queensland, and with its expansion to several locations, Active Rehabilitation Physiotherapy was well placed to commence and foster the development and expansion of the Mars Children’s Continence Clinic. Originally graduating from the University of South Australia, Siona completed a Bachelor of Physiotherapy with Honours and was named on the Dean’s Merit List, for academic excellence. Since graduating, Siona has had wide experience throughout both hospital and physiotherapy private practice settings. Initially working in Flinders Hospital in South Australia, she has worked in areas ranging from Intensive Care right through to Pain Management Clinics. Siona has had particular interests in neurosurgical and orthopaedic rehabilitation and has enjoyed roles in sports physiotherapy including rugby union, cycling and netball organisations. An active person, Siona enjoys netball, basketball, cycling and running. She has travelled extensively and worked as a Physiotherapist throughout Europe. She has had wide ranging involvement in community service, including involvement in the Duke of Edinburgh Program, Youth Work, and as a volunteer in Japan for two years. Here she learned and continues to speak Japanese fluently. Siona joined Active Rehabilitation Physiotherapy in 2008. It was in this same year, strongly supported by Siona’s drive and enthusiasm, that the Mars Clinic was developed. As well as being one of Active Rehab’s senior outpatient Physiotherapists, with a special interest in musculoskeletal physiotherapy, Siona is the Senior Physiotherapist in the Mars Clinic. As the senior clinician, she recruits, trains and mentors the Mars Clinic Physiotherapy team. In addition to her clinical interests, Siona is employed as the Active Rehab and Mars Clinic Business Manager and is interested in business strategy and organisational behaviour. She completed her Masters of Business Administration at Queensland’s University of Technology in 2015. Physiotherapy Treatment of Children with Dysfunctional Voiding. An Audit Study of an Innovative Computer Games Based Biofeedback System. Siona and the Mars Clinic team continue to provide education to parents, teachers, carers and medical professionals regarding the current evidence for treatment of children’s bladder and bowel disorders. She has given several presentations throughout the community, including presentations for Blue Care, Queensland Health and GP training sessions and has presented at Continence Foundation Australia workshops. In 2011 Siona presented a Mars Clinic paper at the APA National Physiotherapy Conference and she won the prize for the best paediatric presentation. PhD(Physio), M.Phty(Manip), B.Phty(Hons), APAM, MPA We were thrilled to welcome Joanne to the Active Rehabilitation Team in 2012. Joanne is a highly skilled and highly regarded physiotherapist with a special interest in the treatment of musculoskeletal conditions and research. Joanne graduated with a Bachelor of Physiotherapy from the University of Queensland in 1984. She has worked as a clinician, clinical tutor and researcher. She completed a first class honours degree in 1985, a PhD by 1992 and a Clinical Masters degree in musculoskeletal physiotherapy in 1999. Joanne’s studies reflect her love of the physiotherapy profession and her continual quest to improve diagnosis and physiotherapy practice. For the first 20 years of her professional career, Joanne was the Australian protégé of the late Professor Vladimir Janda, a neurologist and manual medicine doctor from Prague. He imparted his specialist understanding of the motor system and its control, which has provided an important foundation for Joanne’s practice. She has spent her clinical career in a variety of settings, working with adults, adolescents and children in both the public and private health sector. Joanne also works as one of Active’s senior musculoskeletal outpatient clinicians, and as a senior in our hospital inpatient team. Joanne has an ‘Active Approach’ to patient treatment, incorporating a combination of ‘hands on’ treatment and individually tailored exercise programs. In 2012 Joanne was awarded the prestigious ‘Professional Excellence in Research’ award for services to the profession at the Australian Physiotherapy Association’s Queensland Awards Night. With her vast experience and special interest in research, with more than 75 publications over her career, Joanne acts as a consultant and mentor to the Mars Clinic in the development of research papers and presentations, encouraging our commitment to validating our assessment and treatment techniques. Dipthi graduated with a Bachelor of Physiotherapy from the University of Otago in 2003. From 2004 to 2007, Dipthi worked in Private Practice in Bundaberg, providing both private inpatient and outpatient physiotherapy services. She then worked in Private Practice on the Gold Coast, while also working with a range of sporting teams including swimming, basketball, rugby and tennis teams. Dipthi first joined Active Rehab in 2007, providing services to inpatients in the Mater Private Hospital, while she completed her studies in Pharmacy at the University of Queensland. She graduated from Pharmacy in 2011, and now enjoys the variety of her combined Physiotherapy and Pharmacy roles. Dipthi has a key role in the provision of services at our Hope Island clinic. She has a broad range of experience in musculoskeletal physiotherapy, orthopaedics, acute medical and surgical pre and post-operative management, women’s health and children’s continence. 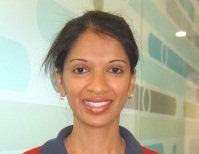 Dipthi has a keen interest in the management of bladder and bowel disorders in children and teenagers. With her combined knowledge in physiotherapy and pharmacology, Dipthi is well placed to lead the Mars Clinic team at Hope Island. Fiona graduated with a Bachelor of Physiotherapy from the University of Queensland in 1981. She has extensive experience in the acute and rehabilitation hospital environment having worked for numerous years in public and private hospitals in Brisbane, Melbourne, Townsville and country Victoria. Her experience has included the areas of intensive care, medical, surgical, orthopaedics, oncology, ante- and post-natal physiotherapy and paediatrics in the acute hospital setting. She has also worked as a member of a multi-disciplinary team in the areas of amputee, neurological and orthopaedic rehabilitation. Fiona has had roles as a senior physiotherapist mentoring junior physiotherapists and also as co-ordinator and supervisor of physiotherapy students in rehabilitation. Fiona joined Active Rehabilitation in 1998, where she worked until 2010 as part of our physiotherapy team providing inpatient services to the Mater Private and Brisbane Private hospitals. After a short break whilst her sons completed school she rejoined the team in 2013. With her clinical background, Fiona is well placed in her position as Senior Physiotherapist in the Mars Clinic at Annerley and Brookwater, working with children and teenagers with bladder and bowel disorders. Fiona works closely with Paediatric Urologists to maximise the team approach for patient management. She also works with parents, care-givers and school teachers to assist children to accomplish exercises and treatment programs outside of the Mars Clinic. Coupled with her thorough and extensive clinical knowledge, and experience as a mother, Fiona has a gentle and caring approach and is very sensitive to the comfort and needs of her patients. Fiona also works as one of Active’s primary Clinical Educators, providing clinical placements for final year physiotherapy students from the University of Queensland. Stephanie graduated with a Bachelor of Physiotherapy with first class honours from the University of Queensland in 2011. Her honours project involved diagnosing upper limb conditions via telerehabilitation, to improve access to physiotherapy services in rural and remote regions. She was awarded for attaining the highest project thesis mark in her cohort. She also received the Dean’s Commendation for academic excellence throughout her studies and after graduation, was awarded a 2011 University Medal for outstanding academic results throughout her university degree. 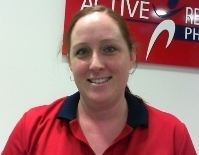 Active Rehabilitation Physiotherapy was pleased to welcome Steph to our team in 2012. 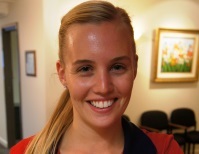 Steph works as part of our physiotherapy team, providing inpatient services to the Mater Private Hospital. She has a keen interest in neurological rehabilitation, paediatrics and women’s health, as well as musculoskeletal physiotherapy. In 2013, Steph joined our team in the Mars Children’s Continence Clinic. With her academic drive, keen interest in working with children and in research, the Mars Clinic and its patients are in good hands. As do all our Mars Clinic therapists, Stephanie works closely with Paediatric Urologists to maximize the team approach for patient management. She also works with parents, care-givers and school teachers to assist children to accomplish exercises and treatment programs outside of the Mars Clinic. Having grown up in Toowoomba, Steph likes to visit home in her time off. She is an active person and enjoys netball, running and the beach. Steph also has a keen interest in music and plays the piano. Amelia graduated from Griffith University in 2012 with a double degree: Bachelor of Exercise Science & Bachelor of Physiotherapy with first class honours. Her honours project looked at bone mass in different athlete types including swimmers and rugby league players. On graduating, Amelia was awarded the Griffith University Award for Excellence in Honours Research and the University Medal for highest achieving graduate in the Bachelor of Physiotherapy. 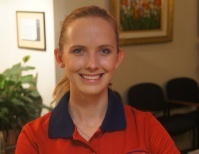 Throughout her degree, Amelia worked as an AFL sports trainer in the NEAFL. During her studies, she had first hand exposure to the challenges facing developing nations, whilst volunteering to teach English in Cambodia. Amelia continued to build on this knowledge by attending model United Nations conferences in both Australia and Germany on health and human rights committees. Amelia hopes to continue to develop these skills and to visit Cambodia again to volunteer as a Physiotherapist. Her aim is to volunteer in the area of rehabilitation of victims of land mine injuries. We were thrilled to have Amelia join the Active Rehabilitation Physiotherapy team in 2014. She works as part of our Annerley and Brookwater teams and our weekend hospital team, in the Mater Private and Brisbane Private hospitals. Amelia provides services in Women’s Health and in the Mars Clinic for children’s continence at Annerley and Brookwater. Caitlin graduated from the University of Queensland with first class honours in 2012. She received several Dean’s Commendations for academic excellence throughout her physiotherapy study. During the course of her physiotherapy studies, Caitlin worked as a physiotherapy assistant for a 2 year old child with cerebral palsy, which was hugely rewarding and an excellent learning experience. Caitlin has devoted her time and energy towards many fundraising and social justice endeavours with her family, including time spent in East Timor volunteering on a building project. 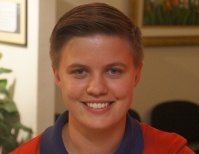 As a graduate, Caitlin continues her involvement in social justice projects. 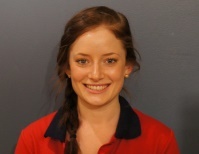 Active Rehabilitation Physiotherapy was privileged to welcome Caitlin to our team in 2013. Caitlin works as part of our physiotherapy team, providing outpatient children’s continence services as part of our Mars Clinic, and inpatient services to the Mater Private Hospital. In addition to her interest in paediatrics, for which she received First Class Honours, Caitlin also has a special interest in cardiorespiratory physiotherapy and neurological rehabilitation. Caitlin has also worked as one of Active Rehab’s Clinical Educators, providing education for final year allied health students from the University of Queensland on their placement in East Timor. Lauren graduated from Griffith University in 2014 with a Master of Physiotherapy, having previously completed a Bachelor in Exercise Science in 2012. She received multiple academic excellence awards throughout her 5 years of study. At university Lauren was involved in a number of local and international volunteer projects including trips to Cambodia and Timor Leste. As a result she was elected President of Enactus, the volunteering organisation at Griffith University with over 300 members. We were pleased to welcome Lauren to the Active Rehabilitation Physiotherapy and Mars Clinic teams in 2015. Coupled with her thorough clinical knowledge, Lauren has a gentle and caring approach and is very sensitive to the comfort and needs of her patients. She works as part of our Hope Island Mars Clinic team, and additionally provides services to the Arcare Hope Island Aged Care facility, as well as inpatient services in the Mater Private Hospital and Brisbane Private Hospital. Lauren has a keen interest in paediatric physiotherapy. In her spare time Lauren enjoys attending the gym, running and playing netball to keep active. In 1999, with the growth of Active Rehabilitation Physiotherapy, Nicole came on board full time, to assist her husband John in the management of Active Rehab. Active Rehab then expanded its list of services, to provide much needed continence services to the community. Nicole has been keenly involved in the infrastructure development and expansion of the Mars Children’s Continence Clinic since its inception in 2008. She is proud of the Mars Clinic’s impact on the community as a whole and of the confidence and independence it generates in the youngest members of our community. She closely supports the Physiotherapy and administration team in their service delivery. Whilst studying for her degree, Michelle worked for a press monitoring firm. Here she progressed from reading and analysing newspaper articles, to the position of General Manager. On completion of her degree, Michelle worked for the next 14 years in the State Actuary’s Office, within Queensland Treasury. Her work involved undertaking actuarial investigations of the Queensland Government’s superannuation funds. This ranged from providing superannuation consulting services, including fund and benefit design, to providing accounting and taxation certificates to ensure compliance with Commonwealth legislation. Michelle also co-ordinated the management activities of the office. This included operational and strategic planning and utilisation of human and financial resources. We were delighted to welcome Michelle to Active Rehabilitation and the Mars Clinic in 2012, to take on the role of Chief Financial Officer. Michelle is a strong advocate of Active Rehab and the Mars Clinic. As CFO, Michelle closely steers the management and ongoing development of the Mars Clinic and is excited about the potential for future expansion of our Mars Clinic services to the wider community. Deirdre joined the Active Rehabilitation and Mars Clinic team in 2010 looking to apply her skills and experience specifically to the area of physiotherapy administration. Deidre has had extensive administration experience in accounts, and administration roles in a variety of industries including construction, mining, and paper manufacturing. Deirdre is a highly astute, meticulous administrator. We are grateful for her dedication to Active Rehab and the Mars Clinic and her passion for diligently maintaining practice systems and procedures. As our Administration Manager, Deirdre coordinates and leads our administration team across all of our practice locations. She has a genuinely warm and caring personality and ensures that our team and our patients, especially the youngest ones, are provided with the best possible service. 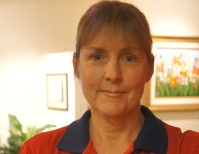 Adele became a permanent member of our team at Active Rehabilitation Physiotherapy in March 2004. With her extensive experience in the airline industry and in large radiology practice administration, Adele is extremely well versed in customer service, medical administration and patient care. Adele worked part-time at Active and the Mars Clinic while she studied towards a Bachelor of Speech Pathology at the University of Queensland. In 2011 Adele graduated as a Speech Pathologist with Honours. As a long standing team member and advocate of Active Rehab and the Mars Clinic, we are grateful and honoured that Adele chose to continue her involvement with us after graduation. She combines part-time clinical roles as a Speech Pathologist working with children and adults, with her administration management role at Active Rehab and the Mars Clinic. Adele is one of our Administration Managers and our customer service training coordinator. She is a calm, meticulous and insightful administrator, who has a strong customer focus. With her history and knowledge of our practice, she has been instrumental in the administrative development and ongoing management of the Mars Children’s Continence Clinic. As one of our loyal senior administrators, we were very pleased to have Melanie re-join us part-time at Active Rehab and the Mars Clinic, after the birth of each of her daughters. With her delightful personality, and her diligent and highly organised approach to her work, Melanie is well loved by our team and the patients. She has a particular affinity with the children attending our Mars Clinic and ensures they feel happy and welome. She enjoys a challenge and provides leadership to our team through her calm, reliable example. We are honoured to have Melanie as part of our Mars Clinic team. Emily joined the Active Rehabilitation and Mars Clinic team in 2012, looking to apply her skills and experience to the area of physiotherapy administration. Emily has customer service and administration experience in a variety of industries including retail, finance and education. In 2010, Emily moved to the United Kingdom to follow her passion for travelling and discovering other cultures. Having lived and worked in London for two years, she returned to Australia and applies her knowledge in the areas of physiotherapy reception and administration. With her friendly and highly efficient nature, Emily is a strong asset to our team. She is well versed in our Mars Clinic systems and procedures and will offer you very capable support and administrative guidance, as well as providing a warm welcome to your child. In 2012, we were very fortunate that Celine joined our team to head up Active Rehab and the Mars Clinic at Hope Island. She is loved by our team and the patients alike, especially the youngest ones. Celine has a mature, caring, highly efficient and organised approach to her work. She is the senior receptionist and administrator of Active Rehab and the Mars Clinic at Hope Island and Brookwater, as well as having a role in assisting with administration across all of our practice locations. Emily completed her bachelor’s degree in Clinical Exercise Physiology at the Queensland University of Technology in 2012. Whilst completing her degree, Emily worked in physiotherapy administration, and has therefore brought with her a wealth of knowledge in this area. She also has a keen interest in health, fitness and the human body. Emily very capably combines her love of health and fitness with her experience in administration to provide excellent customer service. 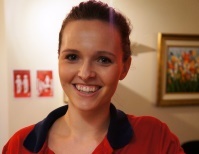 Emily will provide a friendly face and make your child feel welcome. Kirsty joined our administrative team in November 2014, with a background in Massage Therapy and Personal Training. After completing her BA in Human Movement Sciences in Pretoria, South Africa in 2010, Kirsty moved to Brisbane. Kirsty came to us with several years of administration and customer service experience in physiotherapy and veterinary administration, as well as having worked in the hospitality industry.